The reishi mushroom, known as its scientific name Ganoderma lucidum and Ling Zhi in Chinese, is a medicinal fungus and used in medicine as an adaptogenic herb. Reishi mushrooms are native to Asia, and grow a fruiting body above ground. Reishi grows in a kidney shape, with tree-like rings in mostly a brown color. Reishis are most often used today in soups or teas, but can also be found in supplements for their medicinal properties. In traditional Chinese medicine, the fruit of the fungus was sliced and boiled in a tea. Reishi is also edible, and contains fiber and protein. Reishi mushrooms contain antioxidants, and work as an immune modulator, which helps regulate the immune system and hormones. Studies also find that reishi mushrooms balance the central nervous system, digestive system, endocrine system, and cardiovascular system. Triterpenes in the mushrooms help shut off the body’s response to allergies, and Reishi mushrooms also contain plant sterols which act as hormone precursors. Reishi mushrooms also increase the body’s natural immune response and lower inflammation, as well as plant saccarides that limit cancer development. Reishi mushrooms will boost your body’s immune system, release more natural killer cells, and lower inflammation. They will also help your body deal with the large antioxidant resources needed to prevent and heal cancer. Additional studies have shown that reishi mushrooms can help regulate the symptoms from chemotherapy treatments. We all need antioxidants, but especially so if you’re dealing with an autoimmune disorder, cancer, or live in a cold climate. Reishi mushrooms have shown to regulate blood sugar levels, helping to prevent diabetes or treat diabetes. We really all could use less inflammation in our lives. Those with an autoimmune disorder could benefit from a daily dose of anti-inflammatory reishi mushrooms. The polysaccharides in reishi mushrooms stop genetic mutations and protect DNA. Liver disease. 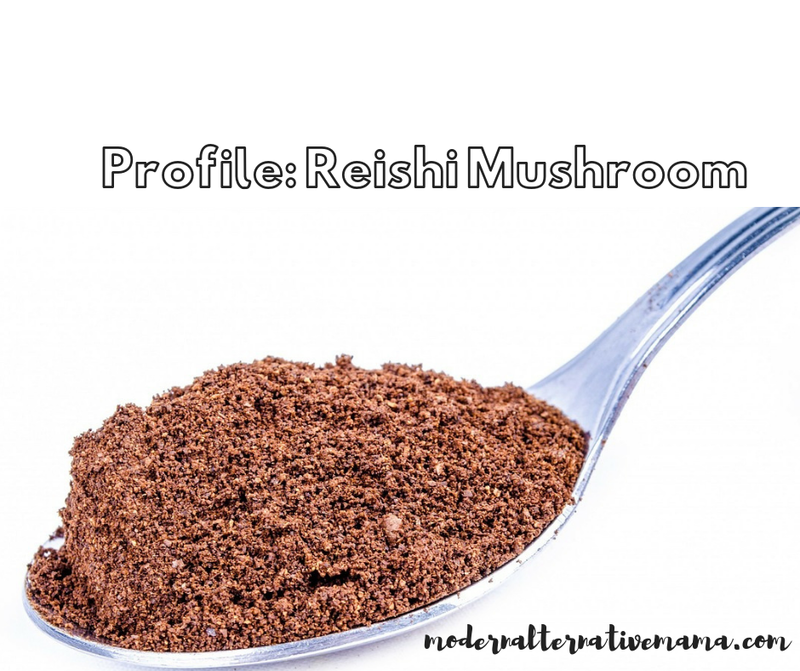 The adaptogens in reishi mushrooms help the liver and can even heal liver disease. Allergies and asthma. Triterpenes help the immune system regulate and lower the response to allergies and asthma. Heart disease and complications, including high cholesterol and high blood pressure. Reishi mushrooms are not found in your backyard, unfortunately. So, you will want to look for a concentrated but properly sourced source. Dried/tea. You can find dried mushrooms easily available online, which you can make into a tea or soup. Capsules or powder of reishi are available online or at most heath food stores. Tinctures or extracts are a great way to get the most concentrated form of any herb, including reishi. 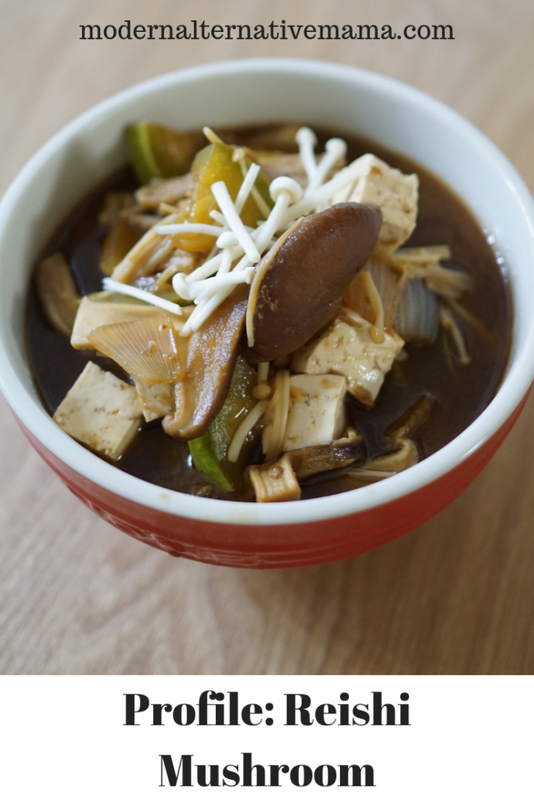 Drinks and soups are another easy way to get your mushroom fix in. I love these drink mixes by Four Sigmatics that incorporate healthy mushrooms. Reishi mushrooms are a strong addition to every natural healer’s repetoire. Stock up on your favorite form of reishi mushrooms today! Do you use reishi mushrooms?